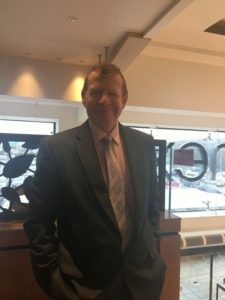 Gordon has been on the board of Braveheart for more than 10 years, first as a representative of Merck &Co, a pharmaceutical company that helped with funding Braveheart in the early days, and more recently as an independent. Gordon led the organisation through the tricky transition from an unincorporated body to the much “fitter” SCIO (Scottish Charitable Incorporated Organisation). Gordon has worked in the pharmaceutical industry for the last 31 years. The last 12 years have been in roles that require a more collaborative and partnership working approach, developing skills that are also very useful for Braveheart. Gordon is married with four children and lives in a small village in west Stirlingshire. He plays a very active role in village life and is a director of the local village trust. He is keen interest all kinds of sport and plays drums in a band. As one of the longer serving board members he has seen the organisation go through a number of highs and lows. He is confident that with the strong management and committed staff we will witness a sustained “high” over the coming months and years. 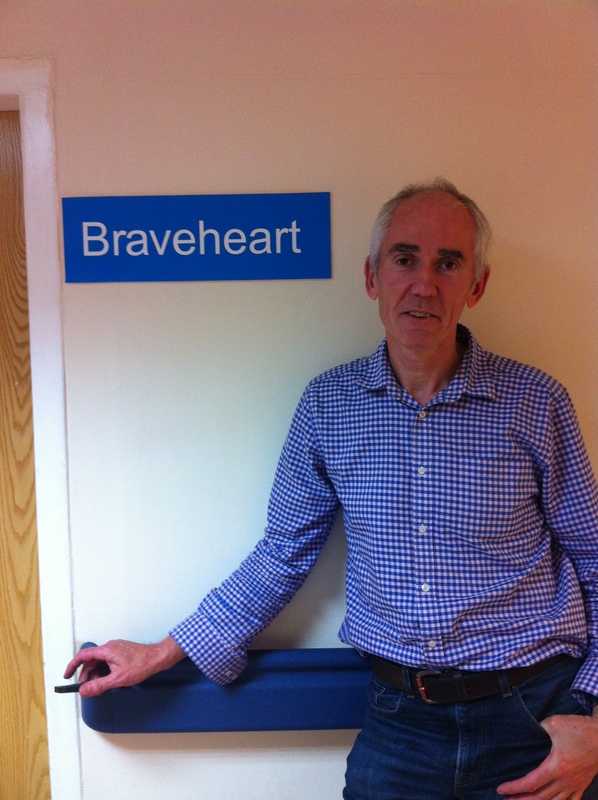 The work of Braveheart is so important in improving the lives of many people across Forth Valley and it is this that motivates Gordon to continue working for Braveheart. Charlie joined the Board of Braveheart in 2017 . He enjoyed a career spanning 33 years in the Local Authority Fire Service. The majority of his career was spent serving throughout the Falkirk District working in both Boness and Falkirk fire Stations as well as in the Brigade’s Headquarters at Maddiston. The last 5 years of his career was spent in the role of Assistant Divisional Officer in charge of the Fire station in Falkirk, retiring in 2005 from the then Central Scotland Fire and Rescue Service. Since his retirement he has been actively involved in Braveheart as a Walk Leader. 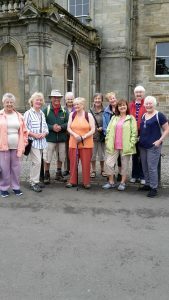 As well as walking with Braveheart he also enjoys the outdoor life being a keen walker, combining this with his other interests of photography and caravanning. Additionally he is also a keen gardener and also has an allotment. 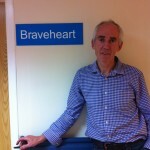 Jamie joined the Board in 2018 having been a walking leader for Braveheart. Since moving back to Scotland some years ago, Jamie has been able to combine his skills as an outdoor instructor, having lead people of all ages and abilities into the hills of Britain, with his drive to try to improve peoples lives through walking and being with like minded individuals. Braveheart has given Jamie the perfect opportunity to do just this and he hope’s to be able to make a difference. Jamie has worked in the construction industry for 30 years and has lead and managed teams around the world and has enjoyed the privileges and challenges of working within diverse cultures on some of the most Iconic buildings and projects across many continents. Dr Nina Saunders joined the board of Braveheart in 2018. She has a keen interest in walking and the outdoors and as a resident of Falkirk is interested in supporting Braveheart as a service to her local community. Nina currently works for Cycling Scotland as the Quality Improvement and Safeguarding Officer where she has worked for 5 years and is heavily involved in cycle training. 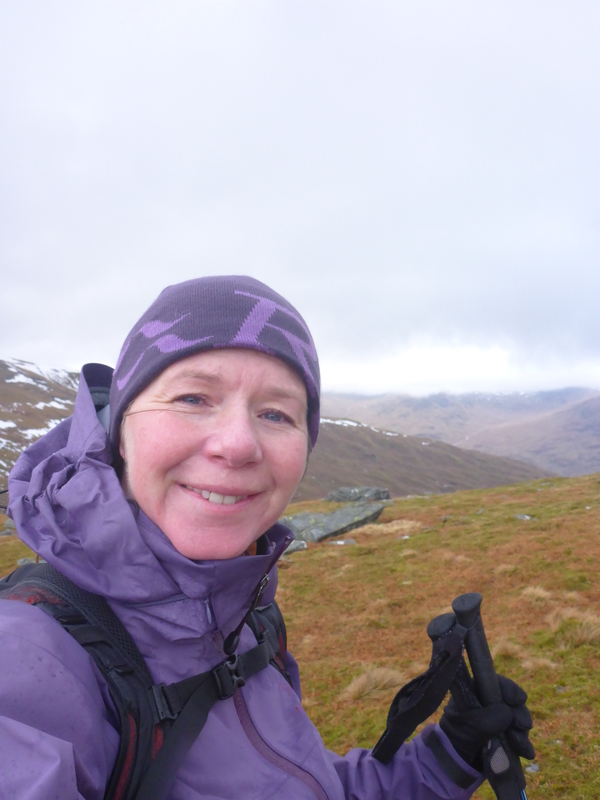 She has a PhD in Outdoor Leadership from the University of Strathclyde and has over 20 years’ experience of working in outdoor education both in Scotland and overseas. She enjoys travelling, cycling, racing mountain bikes and walking with her dog.